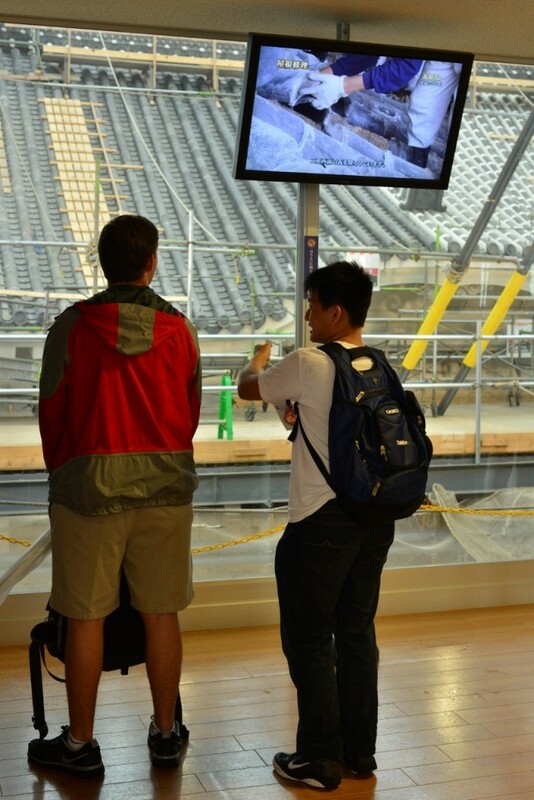 The day after our Hiroshima trip was completely free. Unfortunately, the good weather from that day didn’t carry over and it started to rain again. Our group did many things, such as shop around our hotel/Kyoto Station area, visited Himeji Castle/Himeji Zoo, or head down to Osaka. I spent my day in Osaka. The Osaka Station is also a huge mall, and at the top of the south building there is a Pokemon Center, where we all relived our childhood. 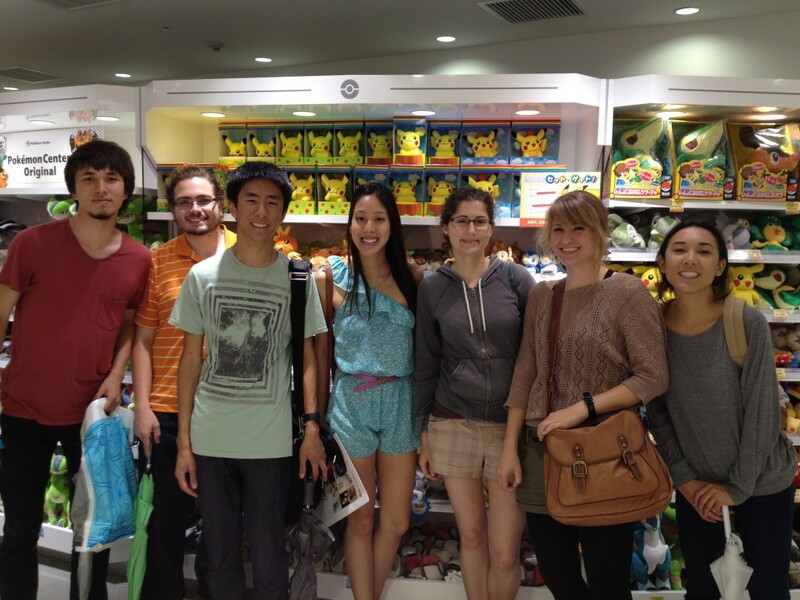 Our group at the Osaka Pokemon Center! 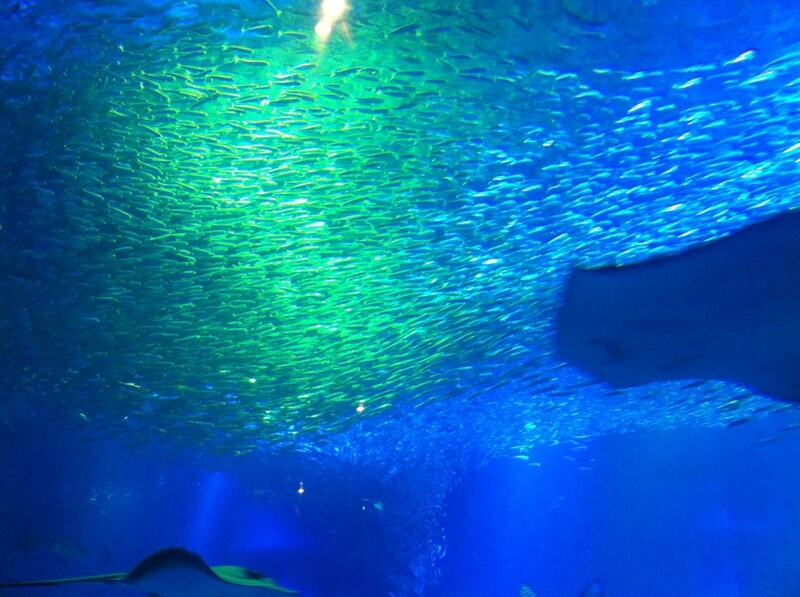 From there, a few of us went to the Osaka Aquarium, and the rest went to Dotonbori. This area is known for its wide variety of restaurants and a lot of shopping. We got a lot of souvenir shopping done in Osaka, even though it wouldn’t stop raining all day. 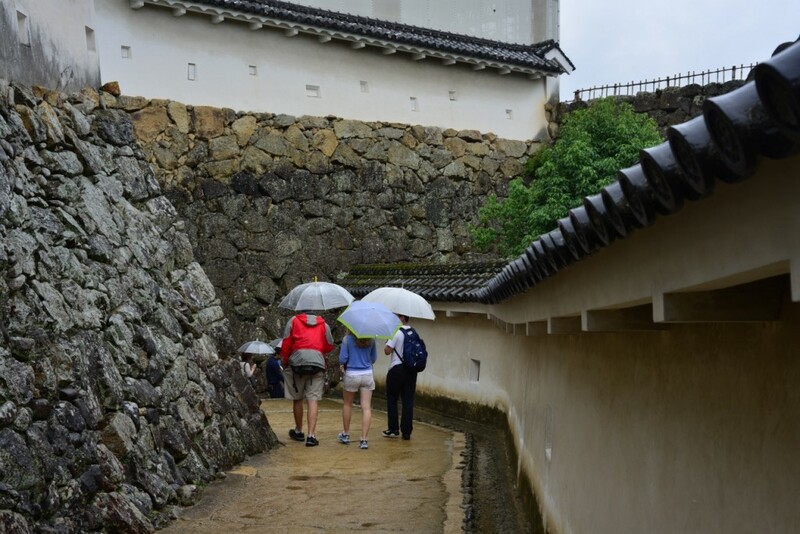 Another group of us decided to visit Himeji Castle on our free day. 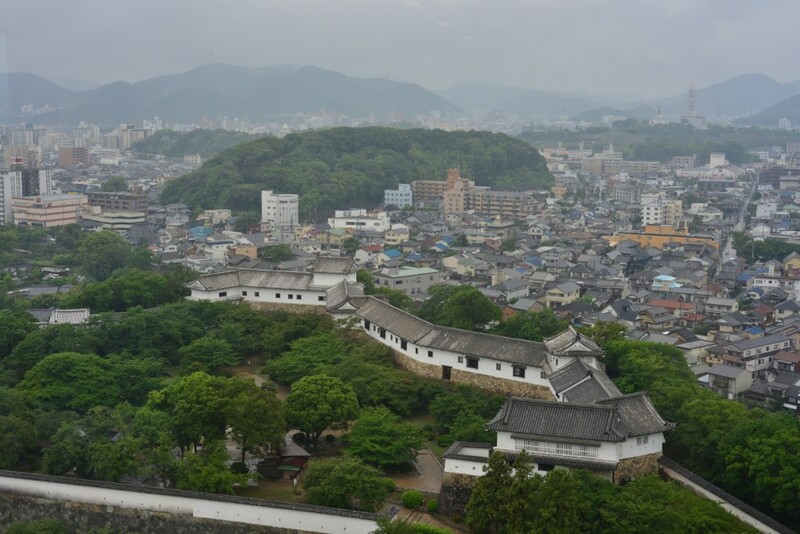 After a fairly long train ride, we arrived in Himeji, a city to the south west of Kyoto. Though the city was drenched in seemingly never-ending torrential rain, we decided to slog through the downpour. It was a decision we would not regret. 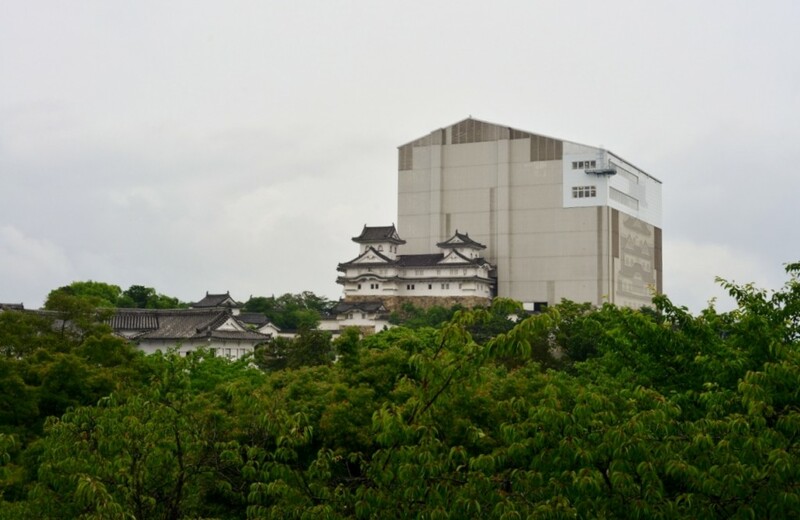 Himeji Castle is truly an astounding complex. Last updated an astounding 400 years ago, this structure is considered the prototypical model for the medieval Japanese castle. The castle is surrounded by a truly amazing complex consisting of several walls, guardhouses, and open lawns surrounding the castle. Though the main, and most recognizable, tower of the castle is under restoration and thus covered from outside elements, this proved to be a blessing in disguise. 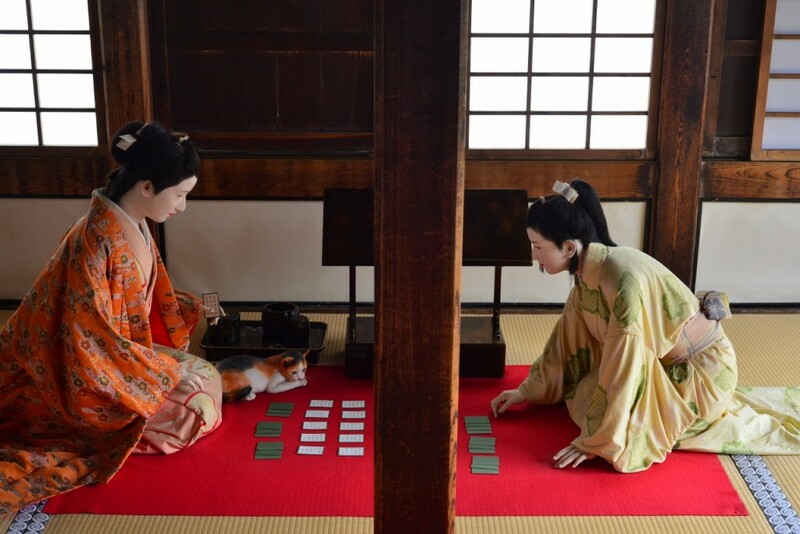 Since we could not actually enter the main castle, a temporary building was set up around the main structure allowing us a firsthand, multi-story view of the restoration process. We were able to observe all the steps of the effort, ranging from the replacement of decayed roof tiles to general polishing of the exterior. Finally we toured the interior of several of the surrounding buildings of the castle complex, and were able to get a better idea of how the castle’s ancient residents used to live. Overall our visit proved to be very rewarding, and hopefully the current restoration will keep this UNESCO World Heritage Site in great condition for decades to come. 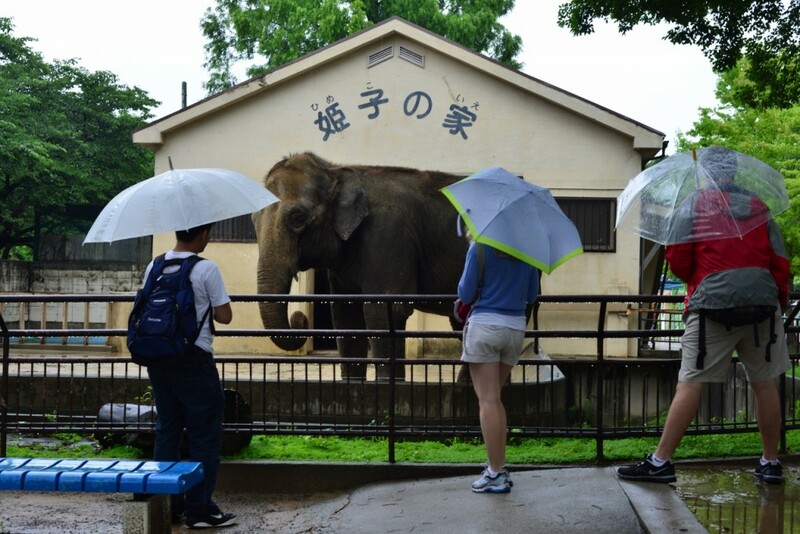 As Alex, Chad, Morgan and I were walking out of Himeji Castle, we noticed a sign that led us to the Himeji City Zoo, conveniently placed within castle grounds. 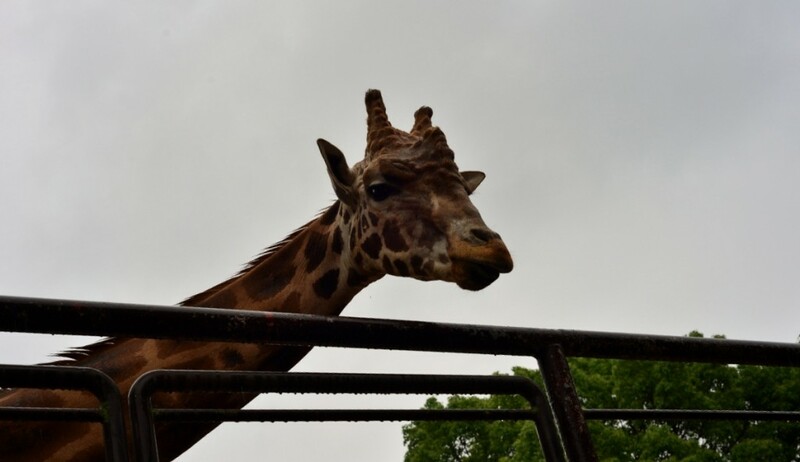 Although it was still raining pretty hard, we decided to drop by and check it out. For only 200 yen (!! 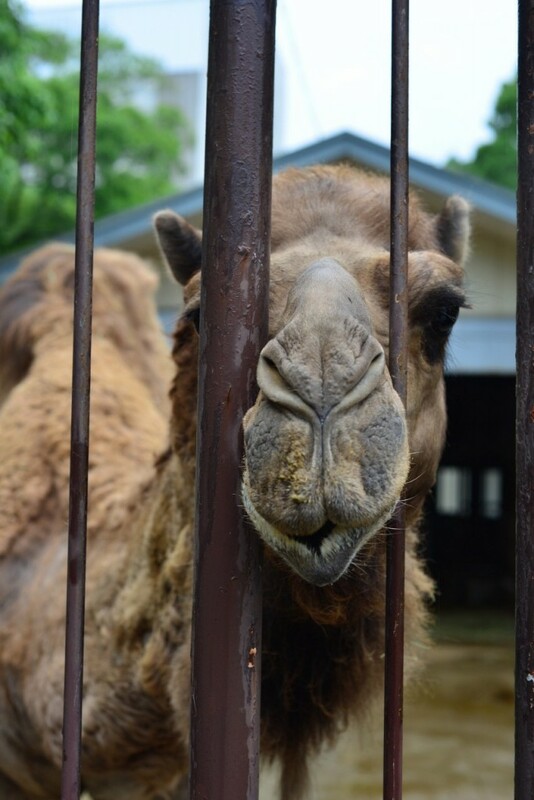 ), we got to enjoy the near-empty zoo all for ourselves as we strolled through the zoo to see its awesome inhabitants. 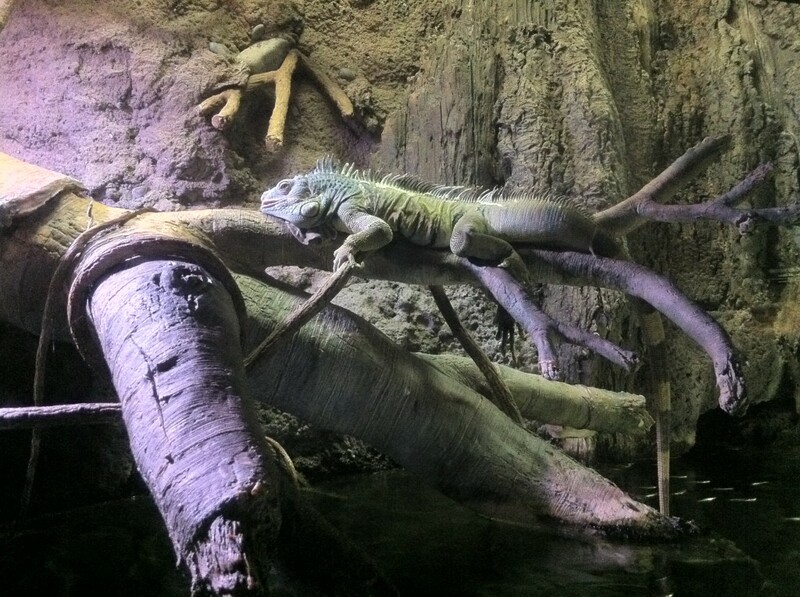 If I tried to write about all of the cool animals we saw, I’d probably end up writing a book, so we’ll just attach some pictures. 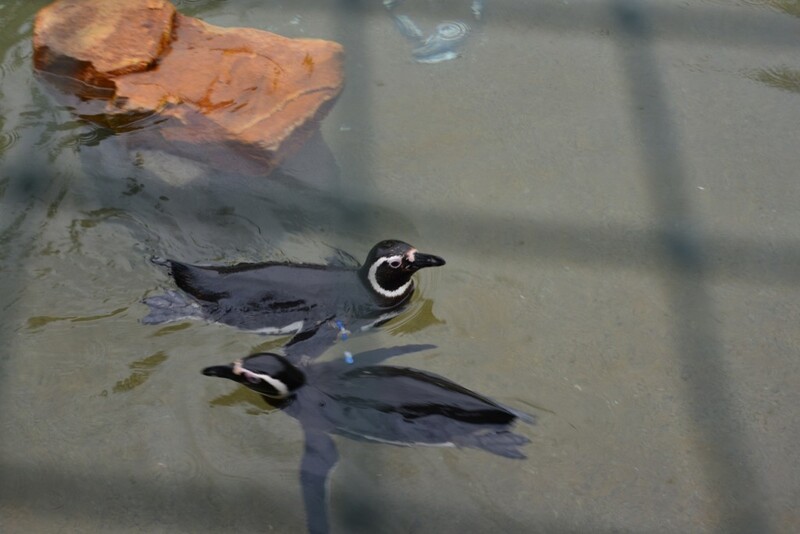 Perhaps inspired by our trip to the zoo, Alex and I trekked on in the rain and headed to the Osaka Aquarium Kaiyukan, one of the largest aquariums in the world. 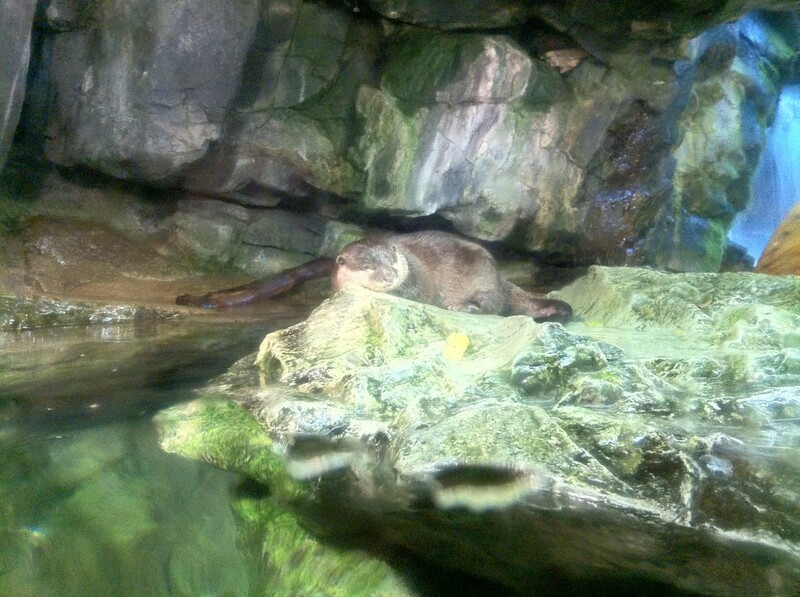 One shinkansen and two subway rides later, we reached the coast of Osaka Bay, where the aquarium was located. 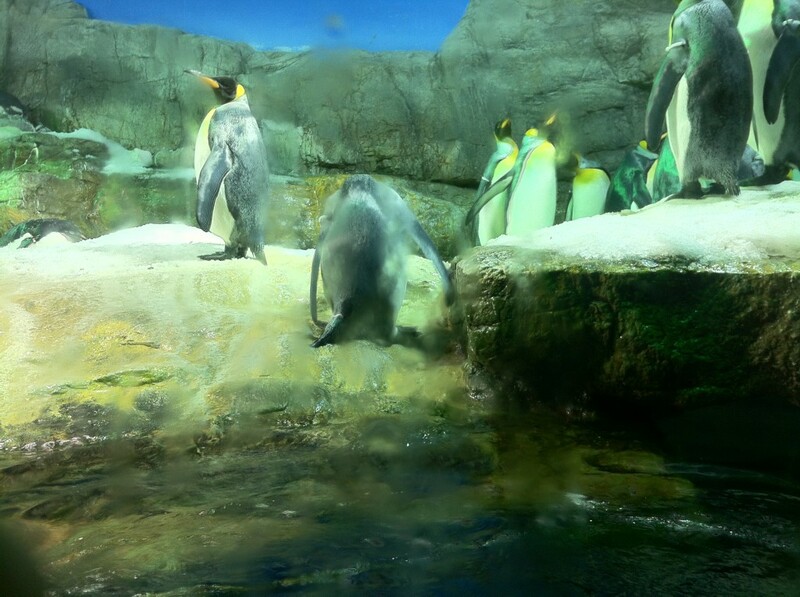 As we entered, we were led to a steep escalator that took us up seven floors to the very top of the aquarium. 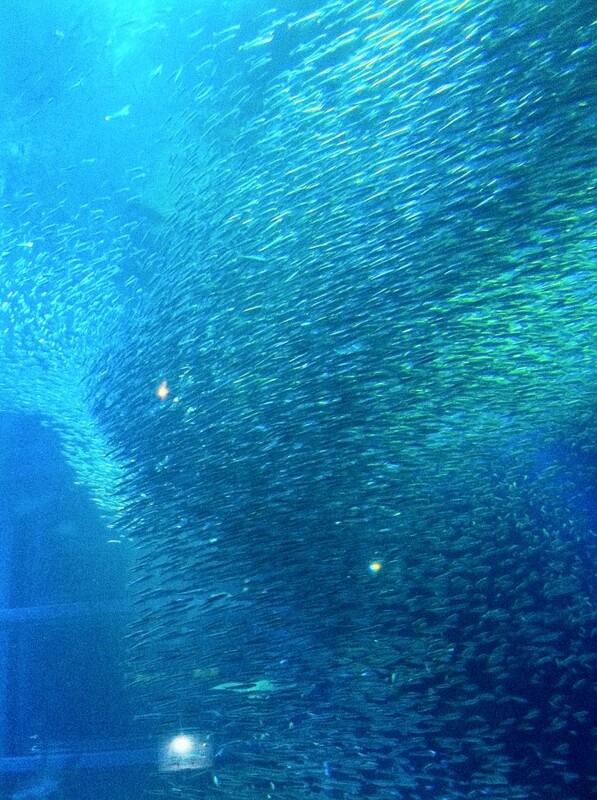 After a brief exhibit of some land animals, the aquarium route proceeded to spiral down the entire building, taking us on a seemingly never-ending journey toward all of the world’s underwater habitats. 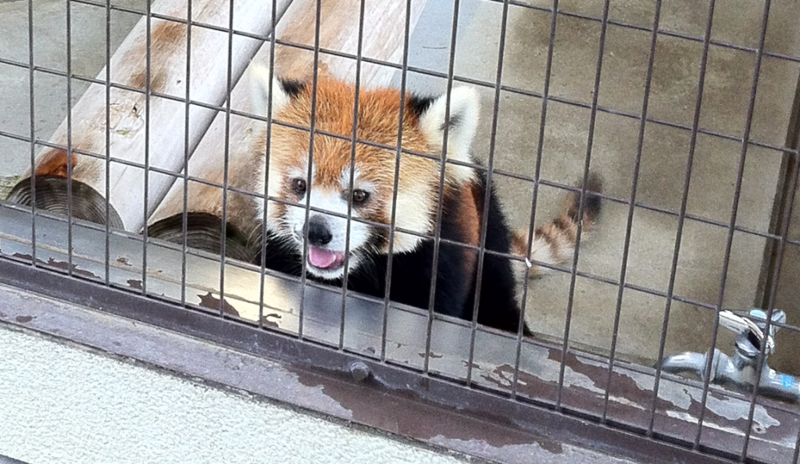 Even with the hefty 2,000 yen entrance fee (we could have gone to Himeji Zoo 10 times with that! 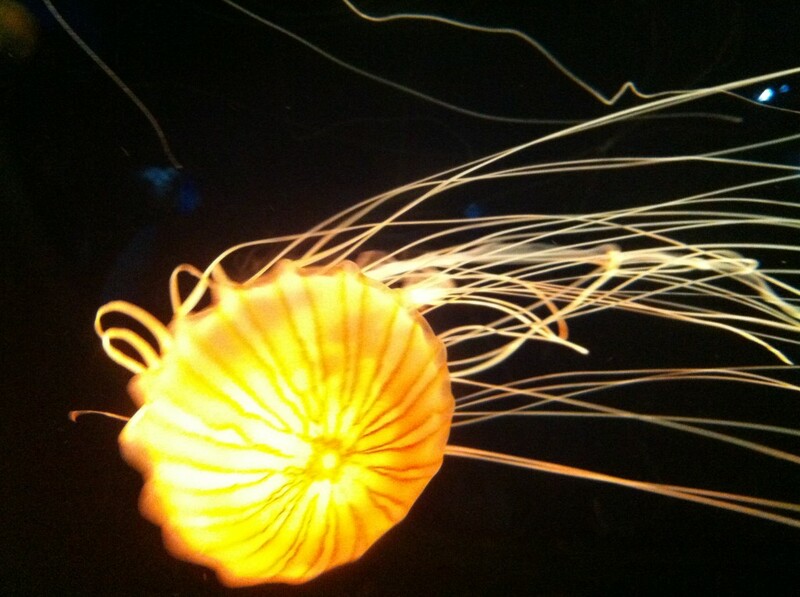 ), visiting the Osaka Aquarium was definitely a good investment. And just like that, our free day was gone! 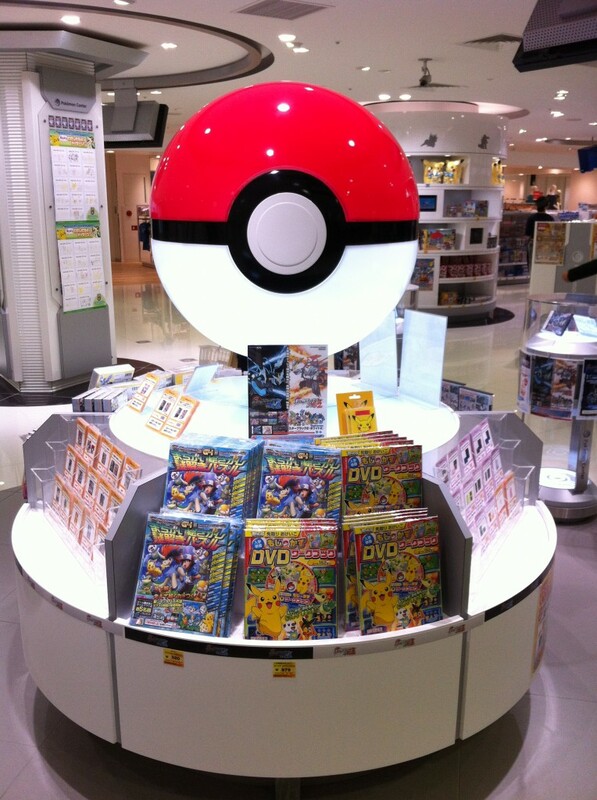 (We did make a quick stop at the Pokemon Center as well, where I picked up some Pikachu golf balls.) Although we’ve been fortunate enough to live in one of the most dynamic metropolitan areas in the world, days like these remind me that it’s good to step away from the bustling city life every once in a while so that we can appreciate some of the beautiful things in life. 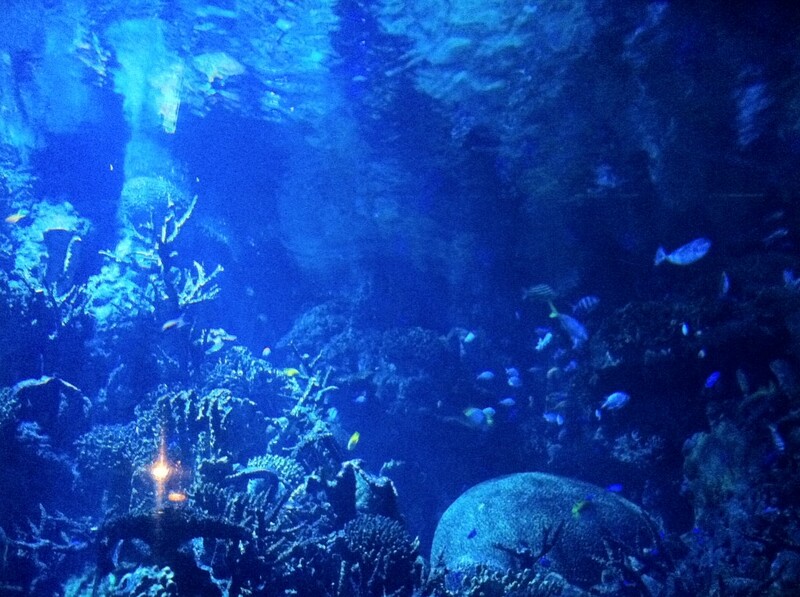 Keanne and I also went to the Osaka Aquarium after going to the Pokemon center with Kevin. 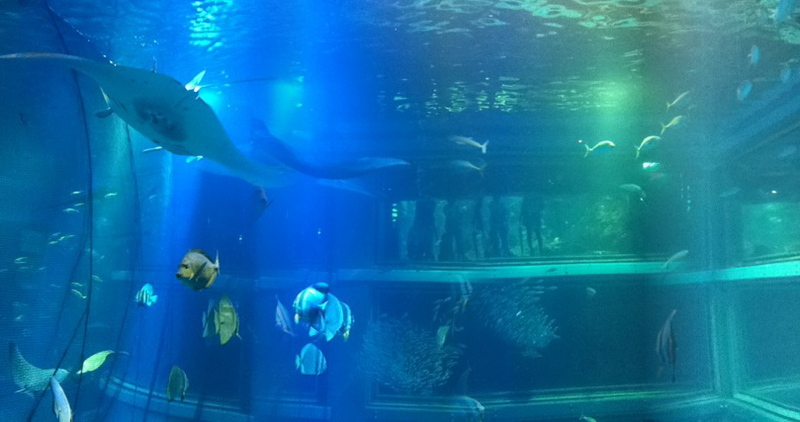 We spent hours staring in awe at the largest tank that housed a Sea Manta Ray. 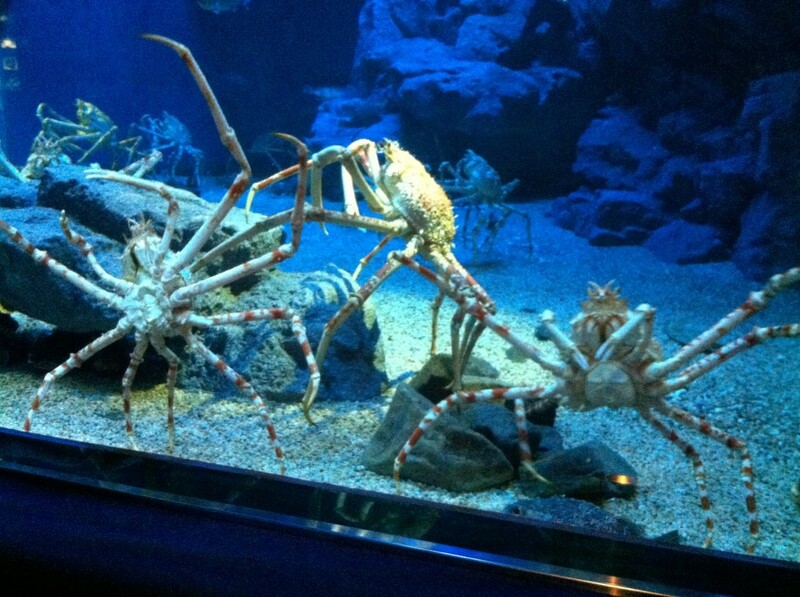 You can see the multiple stories of this tank in the background. 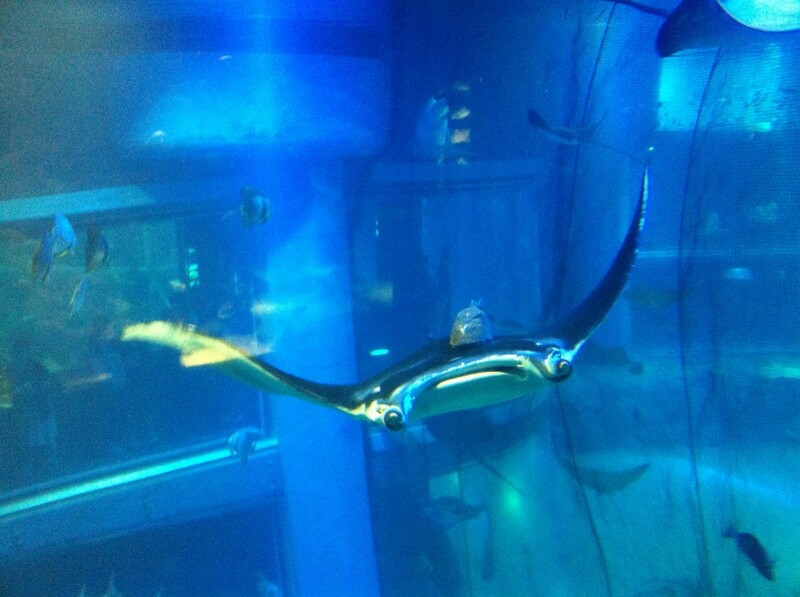 We probably took 500 photos of this Manta! Even though it was pouring rain and we almost got lost, it was a wonderful day full of wonderful sights. It’s always exciting to discover new things in new places on a free day of exploration!